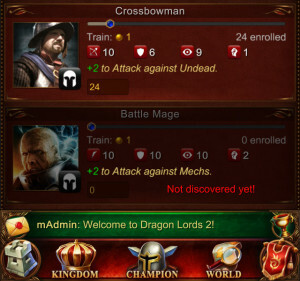 After a few weeks of implementing new features, testing, catching bugs and balancing units and spells we are finally ready to announce the start of the Dragon Lords 2: Open Beta test. On Sunday, May 29th, we are going to launch a brand new realm, which will operate in a mode as close to the “real thing” as we can make it. We may make the start a bit easier by creating kingdoms with a large amount of initial turns, allowing you to go through the research and building phase much faster than on a regular realm. The rest of the mechanics would be left in “regular” mode, as we want to see which parts are unfolding like we thought they would and which are counter-intuitive or annoying. We will be on a constant lookout for the latter and will adjust the gameplay where necessary. There is already a LOT of new mechanics already in place and ready to be put to serious testing and balancing. At this stage we have eliminated the most glaring problems with magic, battle and war. What we want to accomplish in the Beta phase is balancing of all elements. There is a lot of new things at play and lots of new rules. We will observe how players put the mechanics to use, which elements offer the biggest unexpected advantages, which elements are too powerful and which are too weak. Open Beta will start on Sunday at 8pm GMT, before that date we will post client download links on our forum. We will be publishing Windows and Android clients (and MacOS and Linux if they are requested). If you would like to use iOS to play the game you can still request a dedicated client. 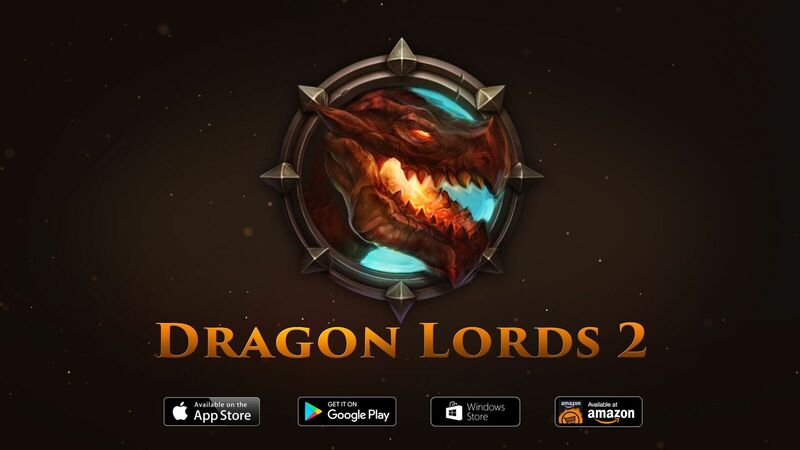 To receive an iOS client active on one specific device please visit our Dragon Lords 2 Facebook fanpage and send us a message. The Open Beta will last for two months (June and July). All players actively participating in the test, bringing issues to our attention and discussing the mechanic on the forum will receive rewards ranging from special Dragon Avatar, as well as The Vanguard title and achievement. 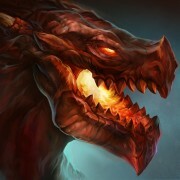 We also want the spirit of competition to drive the testers, just like on regular realm, so top positions in kingdom size and Alliance Legendary rankings will receive packs of Obsidian Coins and chests of consumable items, which you will be able to claim once the game is launched, finally, testers will receive an unique ingame item, though that will only happen once items and crafting have been added to the game, likely soon after the game’s official launch. In addition to this, we will grant additional rewards for players who really commit to making Dragon Lords 2 ready for release. We are excited to enter this new phase of testing and are waiting for your feedback! 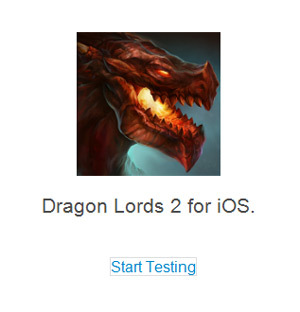 We are officially starting the Alpha testing of Dragon Lords 2! Join the group of eager testers and comment on our forum! 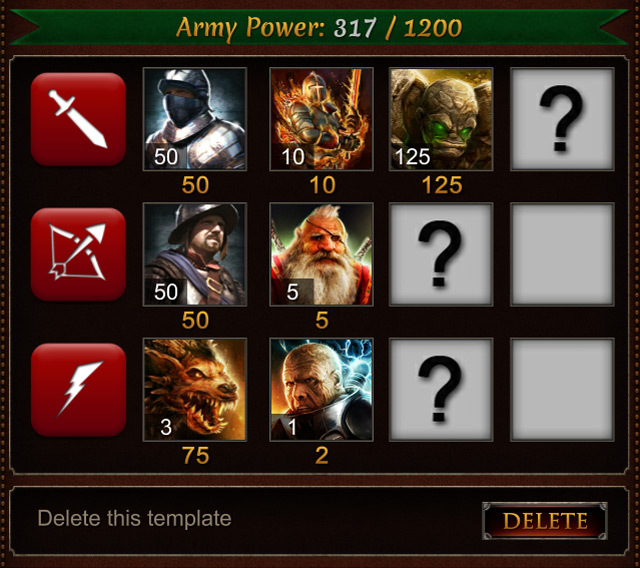 Changes introduced to war mechanics were not quite as drastic as in some other parts of Dragon Lords 2, however they may have just as much of an impact on how the game is played. As mentioned in the original announcement, there will be two types of war, one will be free of declaration limits for any two alliances which want to test their strength. This will be a war to which both sides will agree, the purpose being simply having fun. There will be little cost involved and no significant gain other than pride from the victory. The exact details on how this will be accomplished are still being discussed. 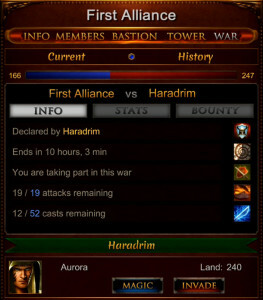 The other type of war will be “ranked”, and here opponents will be chosen by the server. 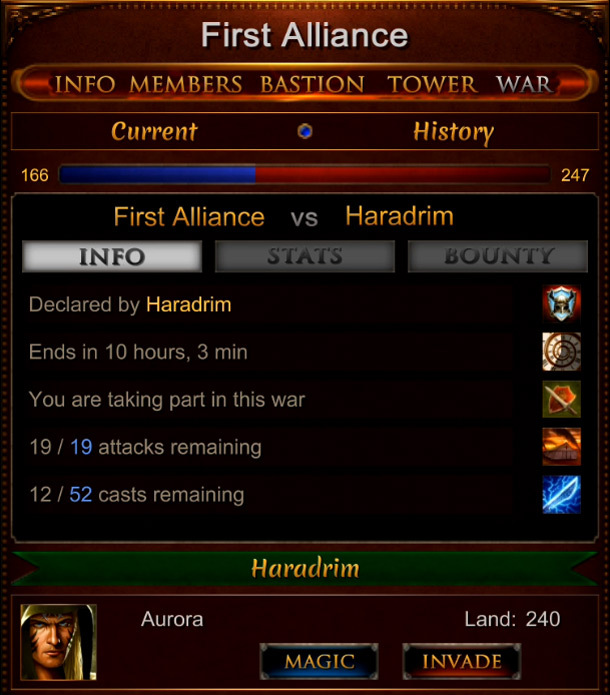 Each time you want to declare a ranked war you will see a list of alliances from which you will pick one. This alliance will be forced to accept the declaration, however the leader will be able to adjust the starting time of the war, to make it more convenient for the defending side. While it will still be possible for two alliances to “work” with each other in what’s currently being described as a “fake war”, the server will make sure no two groups of kingdoms fight too often, giving everyone a chance to have a fair go at combat. Not only war declarations have seen changes. 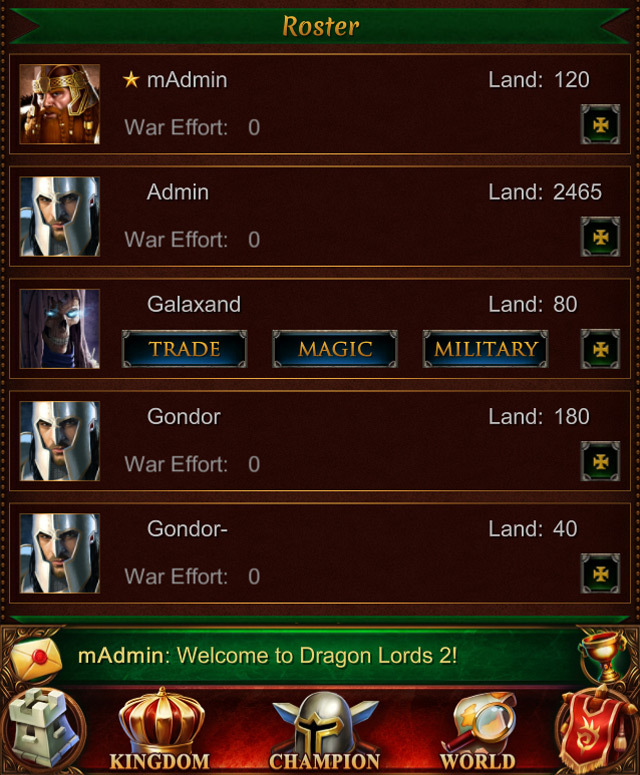 As you have probably noticed, the war panel looks quite different to what you are used to from original Dragon Lords. It should be easy to assess the situation at a glance, with all scores having clear visual representation. War details have been split into three sub-screens where all information you might need during this military conflict will be readily available. If you looked at the trailer close enough, you might also have noticed something hinting at the changes in the mechanic. 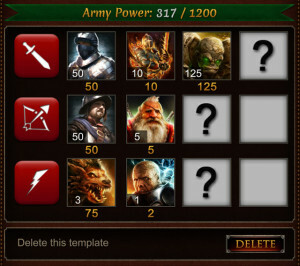 We have introduced the limit for the number of attacks your army can launch against your opponents in each particular war. Each kingdom will have a certain number of invasions guaranteed, with the amount of bonus attacks depending on your Champion’s Conqueror specialization rank. 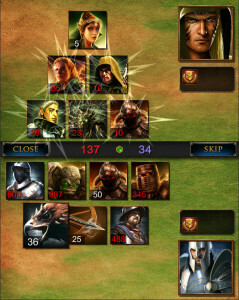 In a similar way, we have implemented a limit to the amount of spells you can cast on your enemies. Again, you will have a certain number of casts guaranteed, while bonus casts will be granted basing on the Channeler specialization rank. Those two limits exist for two primary reasons. We wanted to limit the amount of resources players pump into war, reducing the part which players in general find boring, which is “farming” in preparation for war. We also wanted the conflict to become more complex than “who can summon more demons/spam more attacks”. 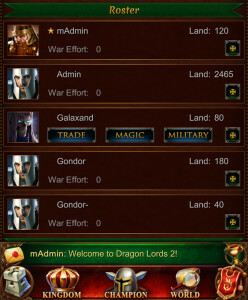 War in Dragon Lords 2 is supposed to be a race of who can manage the limited resources in a more effective way. To keep a better control on how the resources flow in the war and prevent possible abuse we have decided to change the way WarChest is generated and distributed. Every kingdom will be responsible for earning their share of the reward, as we move from Alliance to Kingdom based bounty. In layman’s terms, the better you do in war, the higher your reward will be. 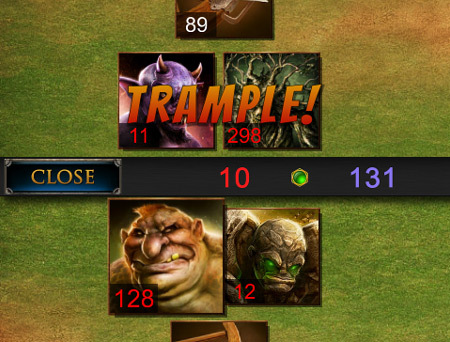 If you continue to win battles and manage to break through your opponent’s magical defenses, your WarChest will grow faster than if you were hammered by your foes. If you just sit there and don’t participate in fighting at all, you are not going to get anything at the end of the war. 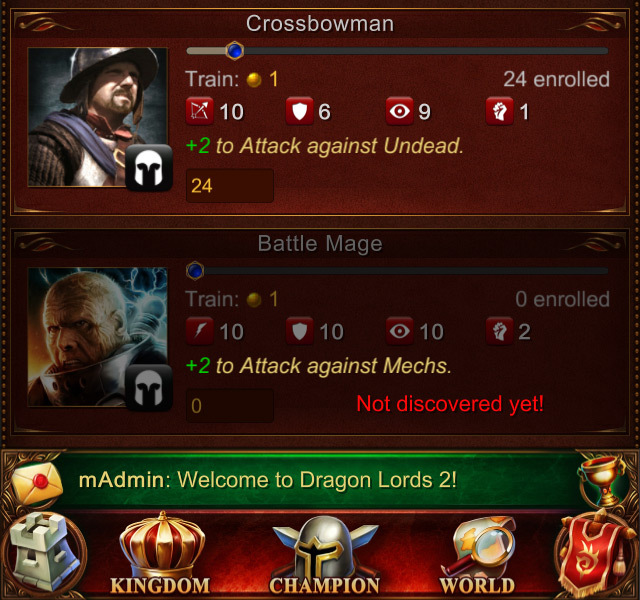 We have also changed the way winning / losing affects your share of the WarChest. 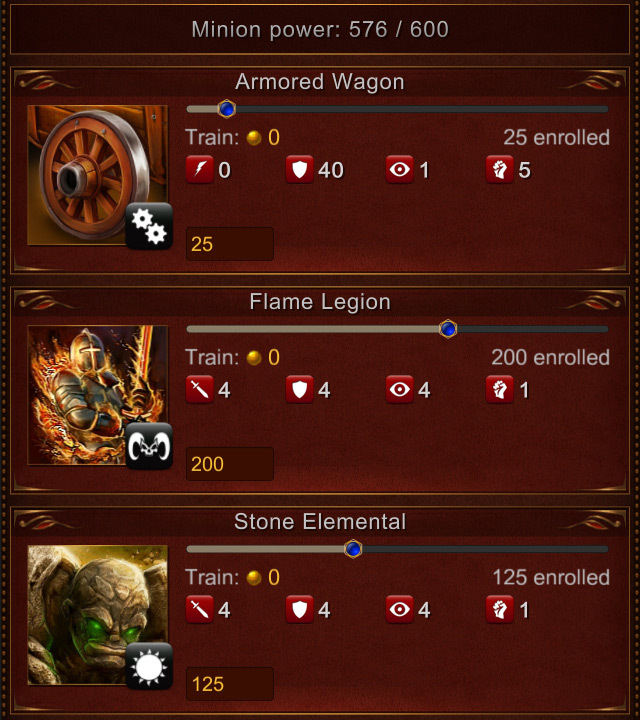 In Dragon Lords 2 there will be two outcomes at the end of war: either one side wins and receives 150% of what they “earned” in their WarChests, while the losing alliance only gets 50% of what they “earned”, or the war is a draw and everyone receives exactly what they “earned”. It is important to note that in order to stop various unusual tactics we decided to not include supportive magic in WarChest generation. You can increase your potential reward only through invading your opponents or inflicting pain upon them by the means of magic. The Valor system will continue, in fact, it’s going to be more important than ever, since above a certain threshold, you will have to pay for your land in Valor instead of gold. 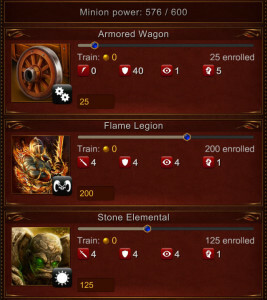 Valor will be gained exclusively in Ranked wars, ie. 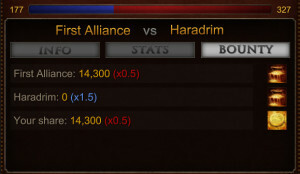 with opponents offered by the matchmaking system. In addition to all that we have plans (it has not been implemented yet, but should be very soon) to make a “Legendary” ranking system, which would reward players at top positions a form of currency which could be spent on exclusive items. 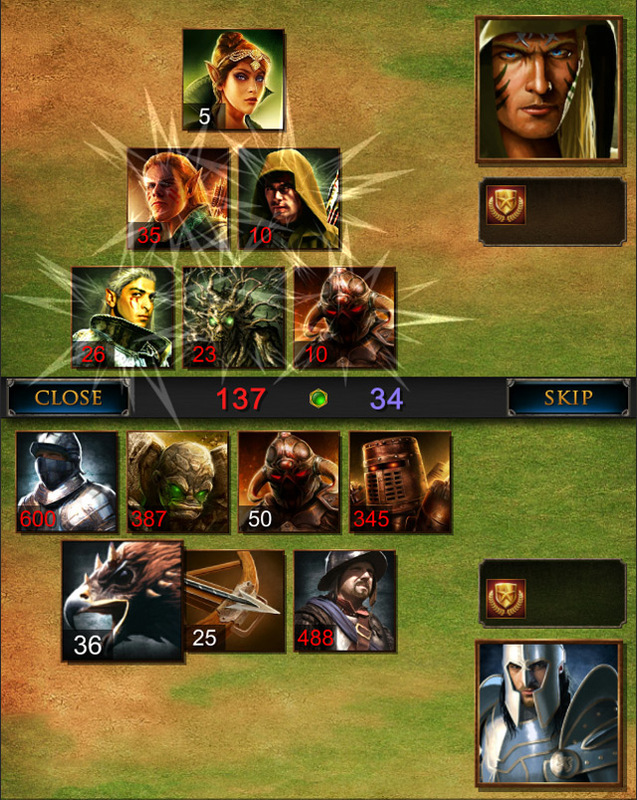 However, staying on the top spots would add a steadily increasing debuff, adding a certain amount of Battle Points to your opponents’ score in each battle, making winning harder and harder the longer you stay on top. This approach would guarantee that at certain point in time you WOULD get defeated and lose land, rather than keep climbing, while at the same time making sure you have opponents to war, even if you are considerably bigger than your opponents. Naturally, we are going to adjust the parameters ruling this part of the gameplay as the Beta test progresses. If we believe kingdoms need more attacks in the war, we will increase the base. If we decide the amount of magic at your disposal is too high or too low, we will adjust that as well. And we will keep a very close eye on the algorithm selecting potential targets, as this is a pillar of the new, more fair and hopefully free of abuse gameplay.